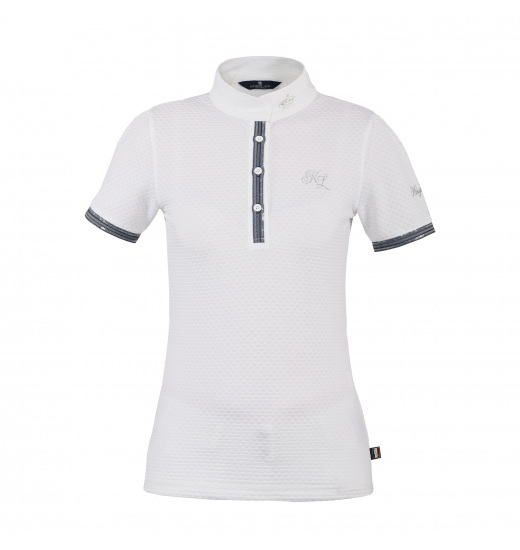 Very impressive ladies' show shirt made of quick-dry and breathable material of a beautiful structure. 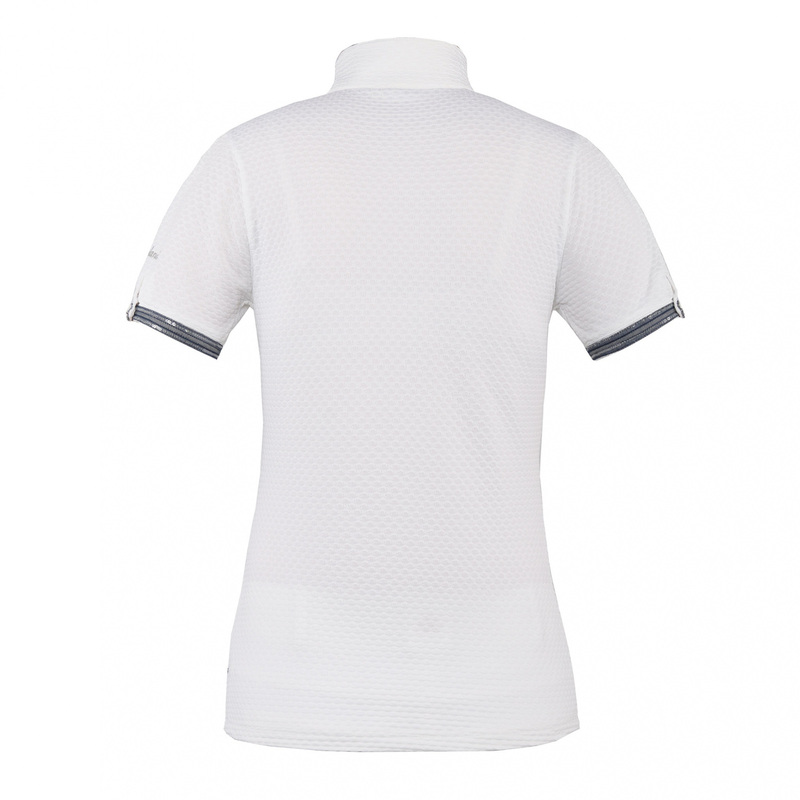 Its stand-up collar is fastened on the front. 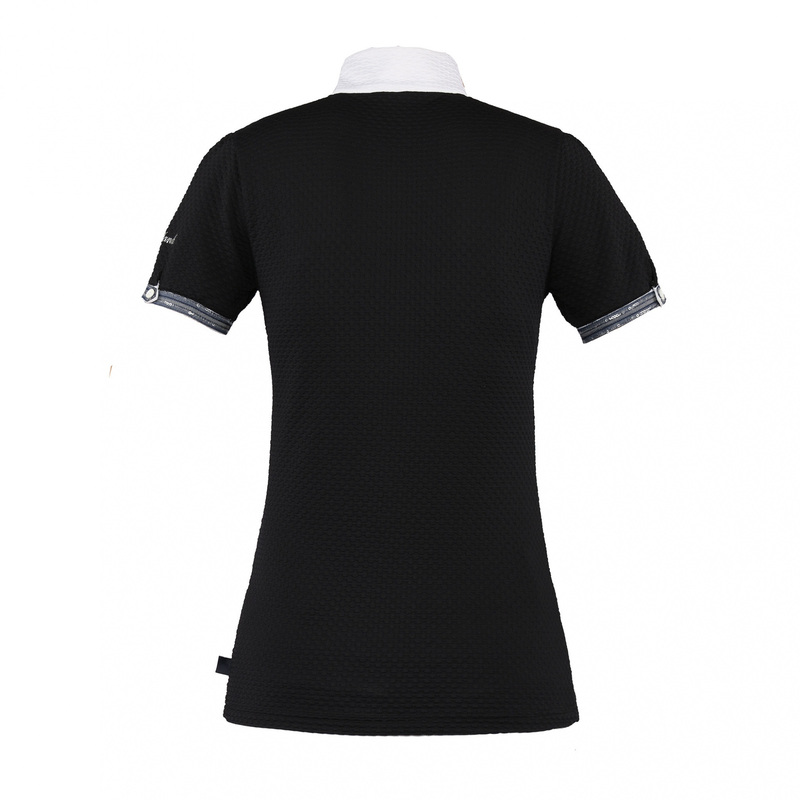 This shirt is decorated with KL embroidery on the chest, crown with crystals on the collar and with sequin tape by the buttons on the sleeves.